On the list this week: A gritty, supernatural Western, a striking animated adventure, and a classic samurai film. By the time the opening scene of Preacher ends, you know you’re in for something special. A celestial object races through space, the whole scene shot with a grainy look evocative of old sci-fi films. The mysterious force lands in Africa, crashing into a preacher whose congregation cheers in awe, before he explodes in a shower of blood. Cut to a preacher in Texas shaking off a hangover to the sounds of a Willie Nelson song. Based on a popular graphic novel by Garth Ennis, Preacher is the story of Jesse Custer (Dominic Cooper), a preacher who becomes possessed by the mysterious force from the opening scene, which gives him supernatural powers. 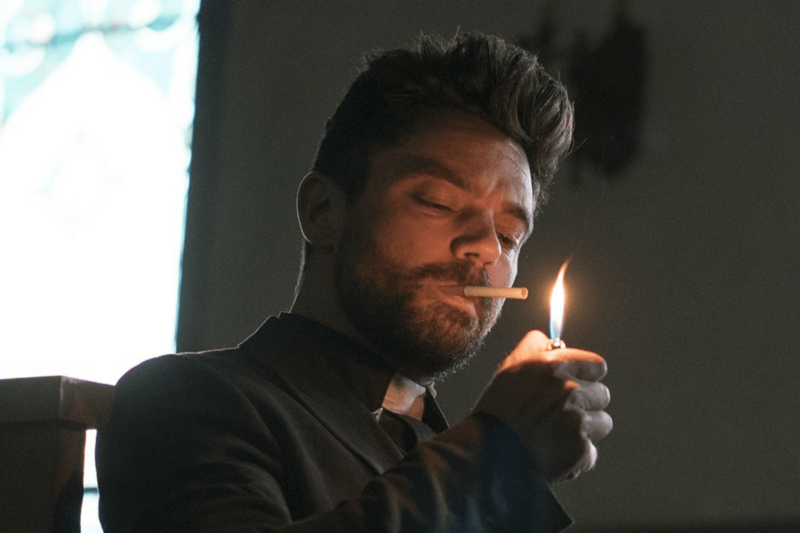 The world of Preacher — bathed in blood and sunlight — draws heavily on classic Western films, and the show follows their lead thematically, touching on issues of masculinity, violence, and the flexible morality of frontier life. Fans of the comics will be delighted to know that the show does not minimize the weirder aspects of the original story — strange characters, including the rakish, Irish vampire Cassidy (Joseph Gilgun), make the transition to the screen with all their personality intact. Continuing its streak of inventive films, stop-motion animation studio Laika reaches its most dazzling highs yet with Kubo and the Two Strings, a gorgeous adventure rooted in Japanese folklore. The film follows Kubo (Art Parkinson), a young boy missing an eye, who lives in a cave with his mother. Using a magic shamisen that can bring life to origami sculptures, Kubo performs for the local villagers, though his mother warns him to always return before dark, lest his grandfather, The Moon King (Ralph Fiennes), come to take his remaining eye. When he disregards her warning, drawing the attention of his grandfather and wicked aunts, Kubo must set out in search of his father’s sword and armor. Kubo’s journey takes him to some interesting places, and he is joined along the way by a sword-wielding monkey (Charlize Theron) and a hulking beetle/man (Matthew McConaughey). The movie renders their odyssey in beautiful, flowing stop-motion. Like folk tales of old, Kubo and the Two Strings can get dark, but that lends the story a complexity that adults can enjoy. Wes Craven’s 1984 horror film holds up much better than many scary movies of its era, thanks to its unsettling premise and charismatic villain. Set in a seemingly ordinary town, the film follows teen Nancy (Heather Langenkamp) and her friends. In their dreams, they have been seeing the same figure, a grotesque, claw-wielding man named Freddy Krueger (Robert Englund), who attacks them. When one of the teens wakes up with claw marks on her clothes, it becomes apparent that Freddy is more than a nightmare. Freddy is an iconic horror villain, thanks to his odd design and Englund’s ghoulishly gleeful performance, and Craven’s direction is superb throughout the film. A hallmark of ’80s slasher films is the inventiveness with which the films kill off characters, and A Nightmare on Elm Street goes to some truly absurd lengths, playing with the boundaries between dream and reality. Despite surviving the Civil War and numerous fights with lawmen during his time as a bandit, Jesse James met his end in an ironically muted way, shot in the back while adjusting a crooked picture frame by a member of his gang, Robert Ford. 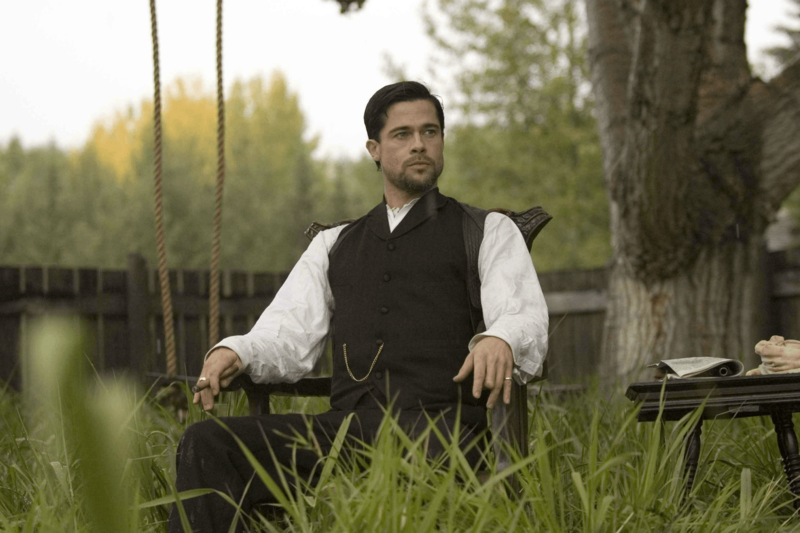 Andrew Dominik’s The Assassination of Jesse James by the Coward Robert Ford examines the relationship between James (Brad Pitt) and Ford (Casey Affleck), one a living legend with a price on his head, the other a disturbingly passionate follower. The film is one of the great revisionist Westerns, taking a character once revered — despite being a robber and murderer, James was viewed as a sort of Robin Hood figure — and bringing him down to Earth, trying to dig into what drove him. Set after James’ best years, the film finds him growing paranoid, as he tries to settle down and leave his old life behind him. Pitt is magnificent in the role, conveying a steely self-control slowly chipped away by doubt. Affleck’s performance is equally great; he plays Ford as an ambiguous fellow, half apprentice, half unrequited lover. Dominik’s direction, dreamlike and deliberate, makes this one of the most breathtaking Westerns ever. Akira Kurosawa’s lengthy Seven Samurai was so impactful, it transformed two genres: Samurai films and Westerns. The film opens on a village beset by bandits. Every harvest, the villagers, already pinched by taxes, must give the bandits a share of their crop. Tired of living under siege, they set out to recruit samurai to fight on their behalf. They find their first savior in an old ronin named Kambei (Takashi Shimura), who recruits six more samurai — including a wild warrior named Kikuchiyo (Toshiro Mifune) — to the cause. Together, they train the villagers in warfare, and prepare for the greatest battle of their lives. Each of the samurai has a distinct personality, as do the villagers, and the movie’s long running time gives everyone a chance to shine. Kurosawa is widely cited as one of the greatest directors in history, and his technique throughout this film makes a good case for his acclaim. The action scenes are varied and virtuosic. See an early duel between two samurai: Filmed in near silence, the two men stare each other down, one calmly, gracefully assuming a stance, while the other trembles, hesitating, before he charges. The body language alone tells you how it will play out. Later, Kurosawa shows his mastery of battle scenes, where long, wide shots follow crashing waves of men. 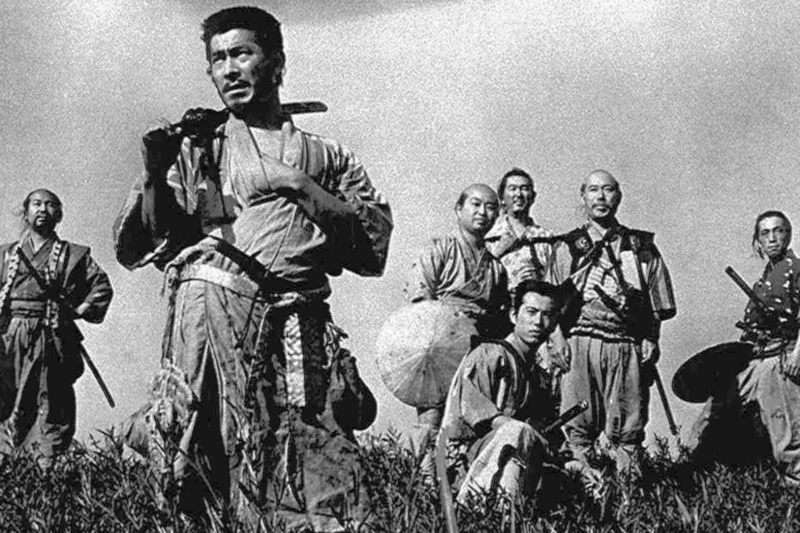 Despite the setting, Seven Samurai does not fetishize violence; Kurosawa separates the fighting with long stretches of character work, making the stakes feel all the greater.